For those of you who have absolutely no interest in watching the Super Bowl, but don’t want to be antisocial, so you regrettably go to a Super Bowl party where fans of neither team sit and make this the biggest night in television, never fear: There is a silver lining for us. HBO has announced that they are revealing the full trailer for the highly anticipated second season of Westworld during this Sunday’s Super Bowl LII. Everyone knows it’s not cheap to get an ad during the Super Bowl, so HBO must be putting up some serious cash for this. Per EW, showrunner Jonathan Nolan directed the season two trailer, which will feature scenes specifically made for the trailer. Of course, there will also be footage from the actual new season, but from the facts that this trailer has an actual director and that HBO hasn’t aired an ad during the Super Bowl in 20 years, it can safely be inferred that this is going to be big and, most importantly, awesome. Westworld premiered in fall 2016 and the second season still has no definite premiere date, though it will be sometime this year. Fans have had to wait almost a grueling two years for the return of the show. 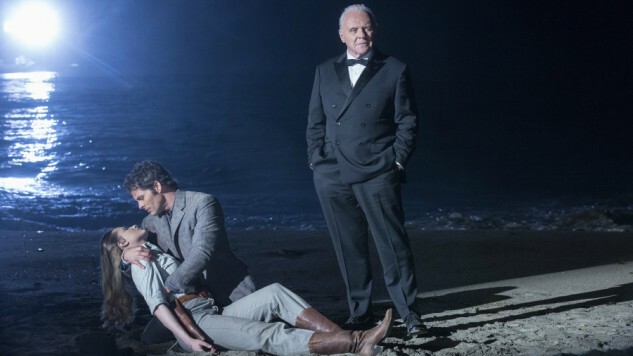 With the absence of Game of Thrones this year, Westworld will be HBO’s big drama contender. The series’ creators, Nolan and Lisa Joy, explained that they wanted to take their time in truly writing a spectacular season full of twists, turns and overly complex plot lines. Filming for season two began last summer and wrapped only recently after a momentary hiatus due to an unspecified actor’s off-set injury. The series has received massive critical and awards praise, with 22 Emmy nominations, including Best Drama Series, Outstanding Leading Actress in a Drama Series for Evan Rachel Wood and Outstanding Leading Actor in a Drama Series for Anthony Hopkins. It was also nominated for Best Drama Series at the Golden Globes last year, which also included nominations for Wood and Thandie Newton, as well. Comic-Con last year revealed the first teaser trailer for the new season, but the footage was only from the first few weeks of shooting. It appears from the trailer, though, that the new season will see Wood, James Marsden, Newton, Wright, Jimmi Simpson, Luke Hemsworth and Ed Harris return. Find the new Westworld season’s teaser trailer, a new video posted to the show’s social media pages today, and some cool Instagram posts from stars Wood and Marsden below. First look at Season 2 Dolores! I adore this character more than I can say. She is…something else. #Westworld. First look at Dolores and Teddy in season 2 of #Westworld! Coming this spring. You don’t even KNOW!